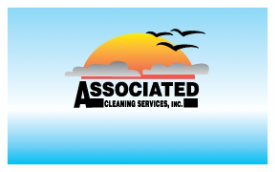 Customer Comments - Associated Cleaning Services, Inc.
"The employee who cleaned my gutters & cleared the underground drainage pipe did an excellent job & was polite & business like during the entire dirt process. He is an excellent representative for your business. I selected the right people to do the work!" "Thank you for always doing such a great job! We appreciate you!" "Our windows look great! Don't know how he does it...wish I had the magic potion! Thanks for another outstanding job." "Thank you for getting this back so quickly. I was pretty impressed with how David handled himself in the rough situation and treated my clients with respect. With the circumstance not everyone would have been able to handle and interact in such a professional manner." "Thank you for cleaning our windows. They look beautiful!!" "Dustin did a great job cleaning, keep up the good work"
"Thank you! Key did an excellent job! "Fantastic job on the cleaning Maria"
"Rob! It is always nice to see you." "Alberto worked hard and did an excellent job on our windows, gutters and power washing"
"The floors look great, thanks Yolanda"
"Excellent job on the windows and gutters Alberto"
"Excellent job Christian on getting the water extracted"
"Raymondo did a great job on our carpets, thanks"
"Elia has been doing an outstanding job as usual"
"Thanks Ralph for taking care of the carpet and dead rat"
"The carpets look so clean. Thank you Ralph for your attention to detail." "Thank you again for such a great service"
"Did an amazing job! P.S. see you again! "Thank you for a great job. Raymundo was a pleasure to have on site!